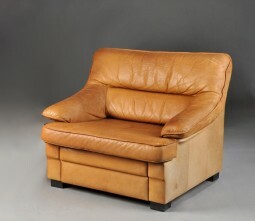 Leather armchair in light tan. 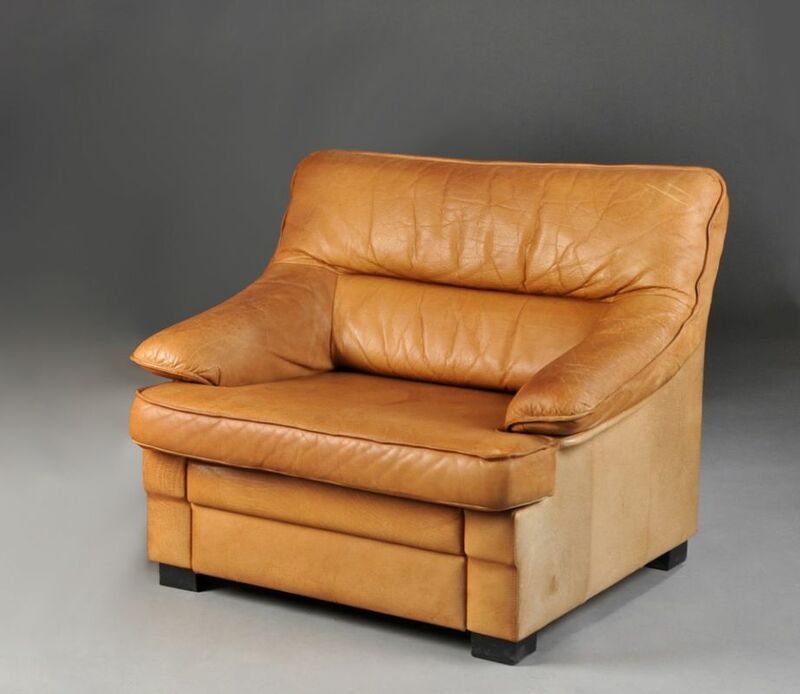 Very comfortable with a slightly higher back than most. 94 cm wide, 92 cm deep and 80 cm high.